Jurors at an inquest of a man who killed his sister and stabbed his mother before turning the knife on himself have retired to consider their conclusions. 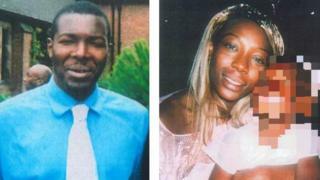 Melvin James killed his sister Ann-Marie at the family flat in Wolverhampton on 8 March. His mother Lynette told the inquest in Oldbury how she told her son "I love you" as he repeatedly stabbed her. Deliberations at Black Country Coroner's Court resume on Thursday. During the inquest, jurors heard Mr James died of multiple stab wounds which a pathologist told the coroner were probably self inflicted. A post mortem found he had at least 80 injuries. His younger sister Anne-Marie, 33, was found dead in the Leasowes Drive apartment's hallway, with a fatal stab wound to her heart. She had a total of 17 knife-related injuries. The court heard that Mr James had been in hospital in Scotland in February before the attack. The coroner was told he was discharged into his family's care without a face-to-face handover by doctors. Dr Norman Nuttall, consultant psychiatrist at Royal Edinburgh Hospital, had told the hearing that Mr James "was voicing delusional ideas". The doctor said, while he was assessed as a "risk to himself", he was not to others. Mr James' condition improved and he was discharged home. On the morning of the attack, police responded to reports Mr James "had allegedly stabbed his mother and sister", senior Black Country coroner Zafar Siddique told the jury in summing-up. Armed officers had to smash their way into the flat and Taser a blood-stained Mr James before disarming him.